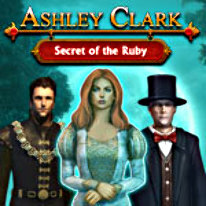 Many years ago a series of kidnappings occurred, the only connection between them was a mysterious ruby pendant. Is it a message from someone or the sinister actions of a cult? Could it be a beautiful ornament holding some kind of ancient secret? You are the detective tasked with unlocking the mystery behind this mysterious piece of jewelry. It will be a path filled with mystery and danger; a path far from the mundanity of your everyday life!